Google is reportedly going to launch a new online photo-sharing service and storage option at its developer conference later this month, which Bloomberg says, will not be a part of its Google+ social network. At the moment, Google offers a photo sharing service known as "Google+ Photos," which comes pre-installed with every Android device. Google+ Photos automatically backs up photos in the device to Google cloud storage. However, the new photo service will not be a part of Google+ network. It seems like the company’s attempts to bolster its product lineup and compete with the increasingly popular rivals like Facebook or Twitter to grow its user base. Just the way like Facebook, who acquired the popular mobile photo-sharing service Instagram in 2012 and increased its user base to more than 300 Million users in one shot. There aren’t many details about How the new Google photo service will work? Whether the search engine will charge you to store large chunks of photos on the new tool? 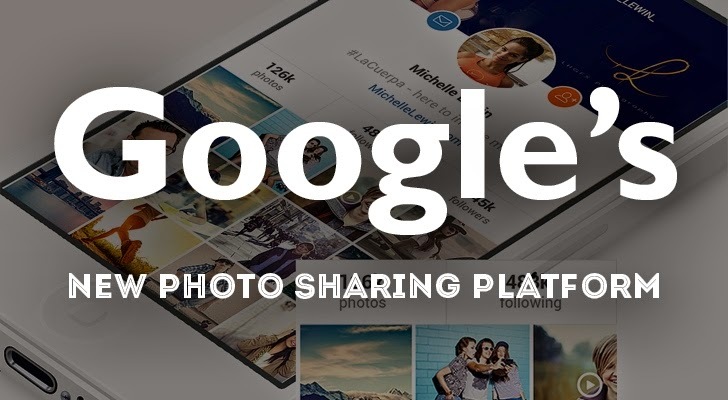 However, the source says that the new photo sharing tool, earlier rumored as Google Photos spinoff, will allow users to share their images with other social networking sites such as Facebook and Twitter. We’ll soon have more details on Google’s new photos service as the search engine giant is most likely to unveil its independent photo sharing service at Google I/O annual software developers’ conference in San Francisco at the end of the month. Apart from the new photo service, Google is also expected to unveil some new features. Android for Work, a new Android OS called Android M for now, and new voice commands to access Android devices are among them.